A nobleman enlists a peasant to help stage his own kidnapping. 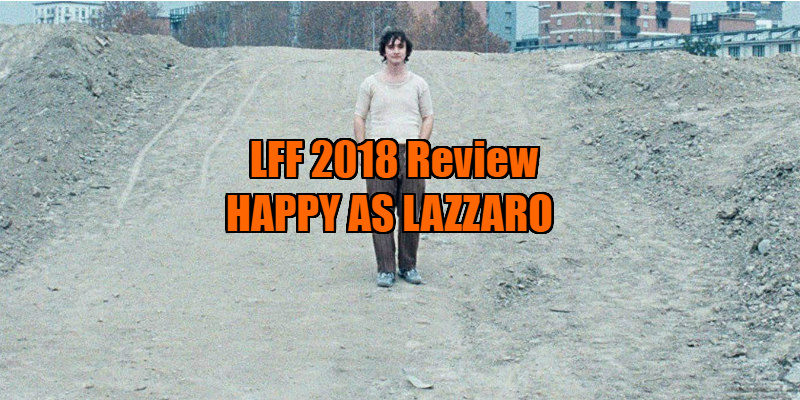 It would be impossible to analyse Happy as Lazzaro, the new film by Italian auteur Alice Rohrwacher, without some reference to Pier Paolo Pasolini. For this story of peasants, villagers, and the crooks between them, she’s brought the legendary filmmaker’s spirit back from the dead through atmosphere, character and visual aesthetic. We open with a tobacco farm that’s home to many but ruled by the one, Marchesa Alfonsina de Luna (Nicoletta Braschi). As her underlings, all the workers are responsible for the entire place and they’re compensated with next to nothing. The parable of modern slavery is strong from the start and only gets sadder as the film progresses, with a truly mournful conclusion. Rohrwacher casts a wide net of potential characters to follow but when it adjusts its focus, it's the story of the titular character, portrayed in eternal poker face by Adriano Tardiolo. He resembles Diego Boneta if he was a My Life as a Courgette character, befitting the simple minded quality that everyone believes Lazzaro possesses. It’s this perception of the character that makes him ripe for exploitation by those around him; they think they can get away with anything when they’re with someone as happy as Lazzaro. Midway through, Happy as Lazzaro turns from wry drama to magical realist adventure as Rohrwacher throws five spanners in the works when you think you know what’s going on. The Marchesa’s son Tancredi (Luca Chikovani) approaches Lazzaro to help mastermind his own kidnapping in an attempt to spite his own mother and release himself from the conservative shackles of the village. Things come literally crashing down for Lazzaro when he falls down a cliff. From there, the narrative becomes a bizarre odyssey that involves him waking up years later to a familiar yet totally unfamiliar world. His lack of self-awareness and single-minded outlook means he doesn’t examine himself or his situation, he simply goes with the flow. The Super 16 format immediately paints Lazzaro with a decor from the 1960s and Rohrwacher's production is reminiscent of what Pasolini achieved with his Trilogy of Life, with amateur performers and a guerilla-ish approach to framing the actors. 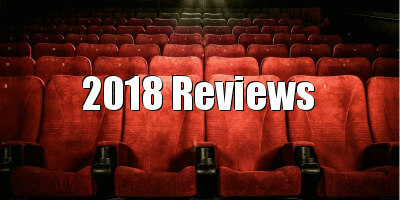 Arthouse fans will eat it up with much to appreciate in its throwback to those days of cinema. Casual audiences may not be so enticed by the labyrinthine narrative developments when the magical realism begins. Lazzaro looks like he’s in permanent contentment in his life, a static state of being who’s unphased by the complexity of the world and its characters around him, unchallenged by the abnormality of his circumstance. Rohrwacher plays it straight too, with minimal stylistic flourishings interrupting her raw aesthetic. But that point in the middle of the film where we see him fall off a cliff? You have to wonder if the rest of a film from there is a dream, because the effect of the strangeness from there on is quite hypnotising up until the climax, which reminds us that people are terrible. Surreal yet humanist. 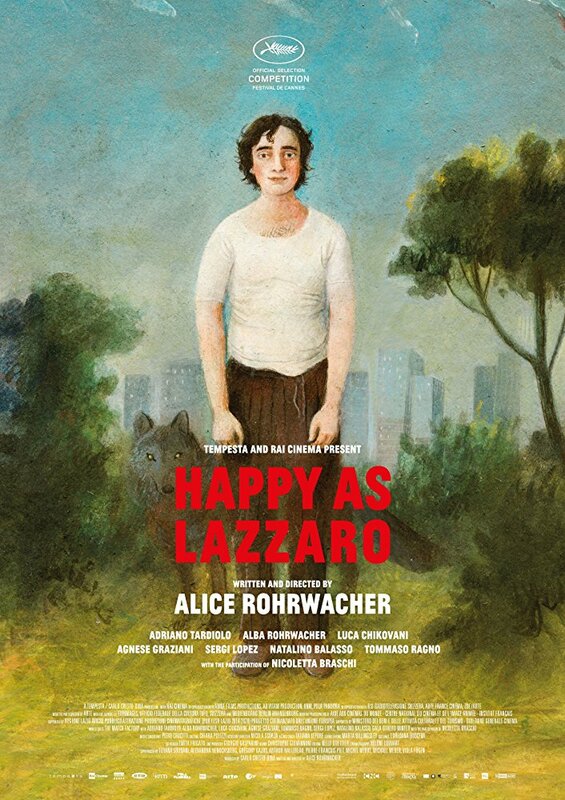 Happy as Lazzaro is in UK/ROI cinemas April 5th.